Spring is the time for rebirth and renewal in nature, and with recent events in Cyprus, this has never been more symbolic for the island. It is 'holiday as usual' and visitors to the island will be greeted with the same beautiful Cyprus-in-spring that has always existed; fields of multicolour flowers in bloom, pleasant warm temperatures, the opportunity to eat al fresco, to go on leisurely walks of discovery and to experience the warmth and hospitality of the locals. 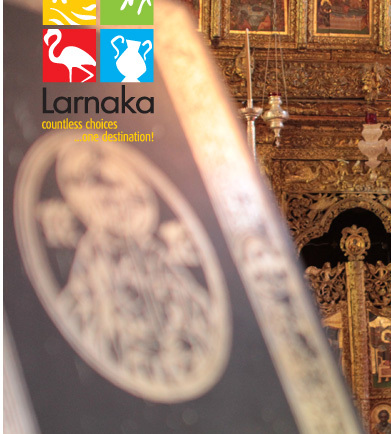 As always, Larnaka continues to progress, surprise and delight with its family-friendly coasts and activities, ideal sporting conditions and preparations for the forthcoming Easter period - the most important religious celebration in the Greek Orthodox calendar. So, enjoy all that your favourite region is offering this spring from natural beauty to organised activities... and don't forget the sunglasses and sunscreen! The Chairman of the Larnaka Tourism Board Mr Dinos Lefkaritis has reassured visitors to Larnaka that they will find the same, great Larnaka they know and love, and that the island will bounce back from the recent banking crisis in the same spirit with which it has overcome difficulties in the past. With so much to offer as a tourist destination, Cyprus is still a 'key player' in the tourism industry. The Larnaka Tourism Board is pleased to welcome three new members to its 'family' - Athienou, Kiti and Zygi. Athienou is a hospitable town famed for its bread, Kiti is a modern seaside town with its main attraction the church of 'Panagia Aggeloktisti', and the fishing village of Zygi is well known for its fresh fish restaurants. Read more to find out what the Mayors and Chairmen of these Local Authorities have said about their towns and villages. Welcome to Larnaka... In True Cypriot Style! This spring season has seen the launch of new promotional 'fam trips' as well as the welcoming of maiden flights to Larnaka... in true Cypriot style! The fam trips are designed to showcase Larnaka to those in the tourism industry abroad who are not familiar with the region and all it offers. As part of the trip, a special event is organised in Europe Square along the famous palm-tree lined Finikoudes strip. 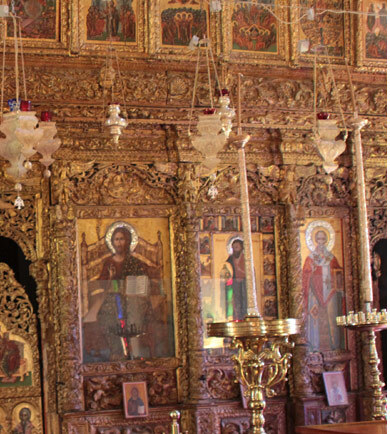 With Western Easter already celebrated, why not enjoy a double Easter this year by also celebrating the Greek Orthodox Easter in Larnaka this May? Good Friday falls on May 3 and Easter Sunday on May 5. There are many traditions, church services and traditional foods during this period and some you might experience include: eggs dyed red to symbolise Christ's blood, a delicious sweet bread called 'tsoureki' and savoury cheese scones called 'flaounes'. The LTB is comprised of a group of people who all have a passion for Larnaka and are committed to its ongoing development and enhancement, one of which is Mr Antonis Papakyriacou. He believes that Larnaka has it all: "Larnaka is very versatile and has something for everyone. It's very diverse with its beautiful beaches, culture and good spread of accommodation of all categories. In a nutshell, Larnaka embodies the saying 'all good things come in small packages'." One of the defining features of Larnaka - and a major part of its appeal - is its 'complete' coastal strips where the beautiful beaches are encased by restaurants, cafes, bars, night-spots, convenience amenities and activities; all the ingredients for a great holiday located in one place! The area of Mckenzie doubles as a fantastic family beach during the day, and a trendy and happening nightspot when the sun gives way to the stars. A new info-point has been installed at Larnaka Port for cruise ship passengers disembarking in Larnaka for both day and night trips to the town. The info-point is the collaborative initiative of the Larnaka Tourism Board, the CTO, the Larnaka Municipality and Larnaka Port itself. Staffed by an Information Officer who is equipped to answer any questions regarding Larnaka, visitors can also find suggestions on what to see or do during their trip based on their preferences. Larnaka is blessed with the perfect weather conditions for a variety of sports, and following research on wind conditions, the coastal area from Mazotos to Kiti villages (west of Larnaka) has been confirmed as the best spot for kitesurfing on the entire island - and one of only a handful of ideal spots in the Mediterranean region. Larnaka has steady consistent winds throughout the year, which are perfect for kitesurfing as it is a sport that takes advantage of both wind and water elements. Larnaka has always had a sterling reputation for being the perfect family-friendly destination, and works hard to offer a balanced holiday experience for all ages. The number one activity is no doubt the beautiful beaches that come up tops time and time again for their cleanliness, safe shallow waters and convenience facilities, but take a step off the sand, and there is a whole wealth of other activities too!